An example of the Gothic building for religious purposes and defence. 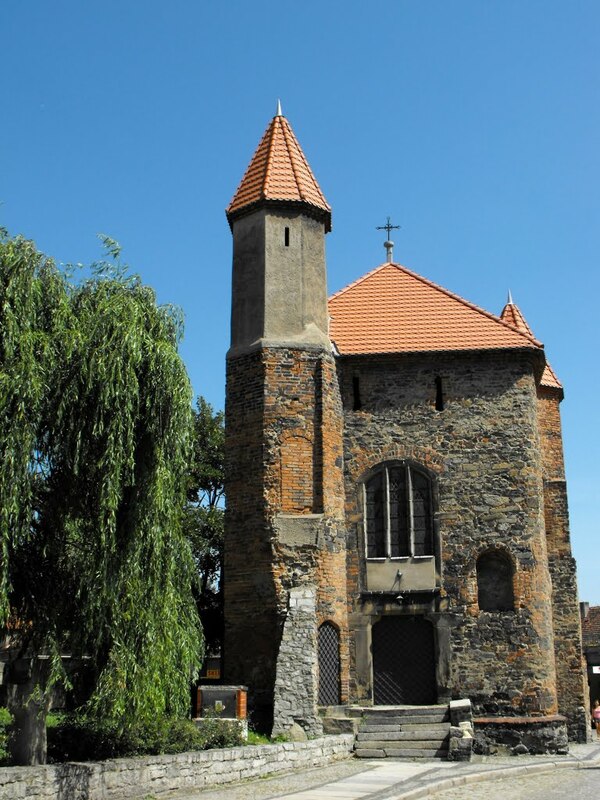 Built as a defensive basteja at the gate of the New, in the 15th century. The Interior of the set is arched with spotting scopes. The main altar is a polychrome wood, Baroque, early 18th century. Portal to the sacristy-sandstone, late Gothic, the beginning of the 16th century. Jumpers sklepienne, sandstone, late Gothic 16th century. 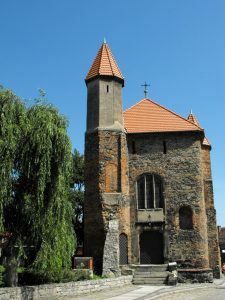 On the outside of the two late-Gothic portals in richly profiled ościeżach.